We promise not to let your items go to waste. Any objects we can salvage, we will do so. 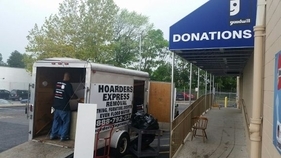 We work along with well known and local charities to make sure your items are properly handled.